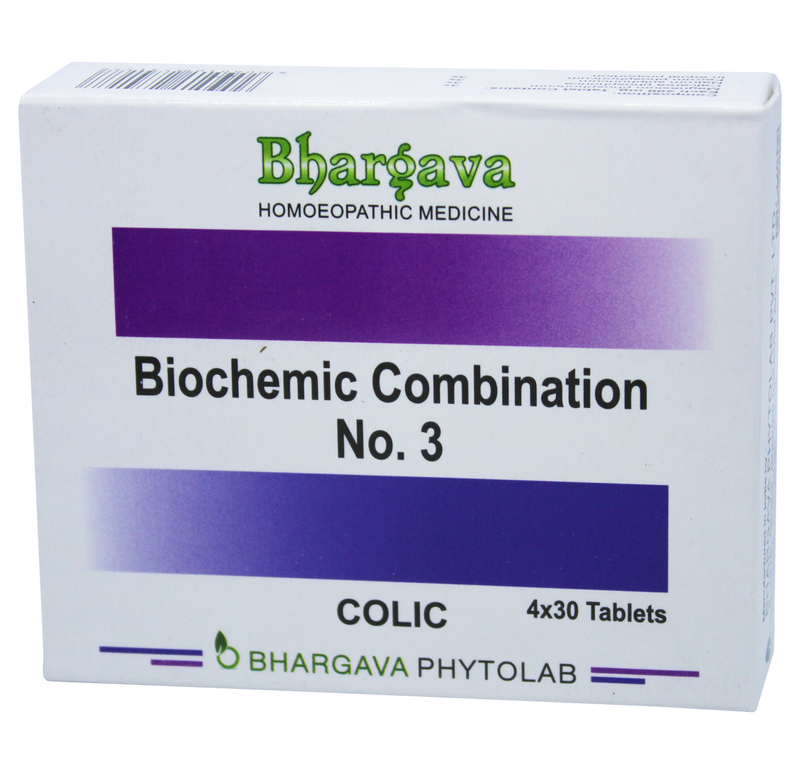 Bio Combination 3 helps in overcoming the colic problem. It is helpful for infantile colic during teething and spasmodic pain. Doctor Bhargava Bio Combination no. 3 is a result of techniques perfected over 100 years of practice. It is also helpful for stomachache due to indigestion & belching and pain due to flatulence & constipation. Start taking Homeopathic medicine today and get best treatment.